half-duplex – a port can send data only when it is not receiving data. In other words, it cannot send and receive data at the same time. 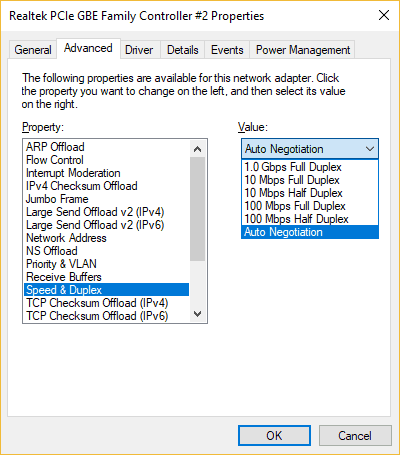 Network hubs run in half-duplex mode in order to prevent collisions. Since hubs are rare in modern LANs, the half-duplex system is not widely used in Ethernet networks anymore. full-duplex – all nodes can send and receive on their port at the same time. There are no collisions in full-duplex mode, but the host NIC and the switch port must support the full-duplex mode. Full-duplex Ethernet uses two pairs of wires at the same time instead of a single wire pair like half-duplex. Each NIC and switch port has a duplex setting. For all links between hosts and switches, or between switches, the full-duplex mode should be used. However, for all links connected to a LAN hub, the half-duplex mode should be used in order to prevent a duplex mismatch that could decrease network performance.